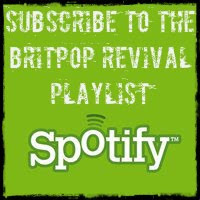 Britpop Revival: Longpigs: Out Of The Loop? 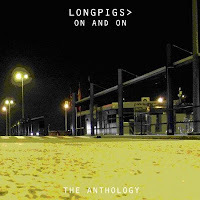 Longpigs: Out Of The Loop? If you've listened to the radio shows then you'll know that I'm a big fan of Longpigs and so are you probably, because their songs always get a great response whenever we play them. Comments are normally of the "I'd forgotten how good they were" variety; On And On, She Said and Lost Myself all big hits and quality tunes. 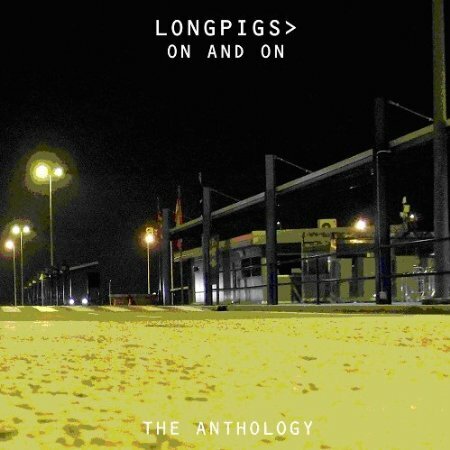 So when I saw that there was a new Longpigs anthology coming out this month, including 5 previously unreleased tracks, I was quite excited. I tweeted about it, and gave out the Amazon link. 33 songs for £9? Bit of a bargain. So who are the company behind this? They are called 3Loop Music and their strapline is "re-engaging artists and fans". As I understand it their model is to partner with bands and release archive material, licensed from the original record label. In return for helping to promote the release, bands earn a cut of the sales. It reads like they are breathing new life into old back catalogues, enabling physical releases of specialist material to a non-mainstream audience (that's you and me folks! ), activity that would be uneconomical for a mainstream label. You can read more about how their business model works on their own web site, here. 3Loop have licenced the Longpigs back catalogue from Universal, who are the rights holders. 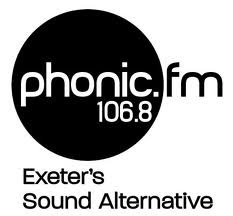 They initially spoke with Crispin Hunt (Longpigs frontman and songwriter) about 18 months ago about the project but he was not keen to get involved in promoting any future release. They state that he is fully aware of the project. They decided to proceed with the Anthology anyway though, whilst saying that they would have preferred to do it with Crispin's involvement. Therefore the band do not get a cut of any profits that 3Loop might make but they do get the recording or publishing royalties that come from the licence that 3Loop is paying to Universal. So by my reckoning Crispin, Richard and the rest will get the same royalties as they would if Universal had put the record out themselves. There is a problem though. On their website it clearly lists Longpigs as being a 'partner artist' and they manifestly are not. So anyone reading the website and buying into the ethos of 3Loop will think that they are supporting the band directly and they are not. I put this point to 3Loop and they agreed that the website was wrong and that "we really must sort that out". Yes, they really must and they should do it quickly if they want to retain any credibility. I'm pleased that 3Loop were open about all this and took the time to get in touch with me. I don't think that they are 'dodgy' but for a label whose whole ethos is supposed to be about connecting artists, their languishing back catalogues and fans, it is regrettable that their highest profile release so far doesn't follow that actual model. The model that they are trying to follow is an interesting one and if it can bring unreleased music out of the vaults that can only be a good thing. I will follow their future releases closely as there is the potential for some really good music to come out - they just need to be careful about how they are listing people on their web site! "Although further to this I hope it gets Crispin some well deserved respect as a songwriter and lifts the band out of an undeserved place in history to something a little nearer the truth"
I picked up the Longpigs anthology second hand while I was in the UK in December. I was just about to transfer it to iTunes when I compared it to the 2 Longpigs releases and my CD singles. After I realized it didn't have all of the tracks from either album or all of the B-sides, I put it back on the shelf. This could have been a great project had it been done the way Demon and other labels are doing it with the original album AND the proper B-sides, but this one is a fail for me. Perhaps this could open the door for someone to do it properly. I know I'm 4 years late with this comment but...this compilation is a bit weird. They've left out some songs from the second album and added inferior B-sides and other odds and ends. A really strange decision. Why not include all of both albums in order (!) and then add on the B-sides and live tracks after? It's weird they didn't put Over Our Bodies on it! One of the best songs on the first album. I'm not too fussed that EVERYTHING is not on there, but more the choices they made. The Gangsters live at the BBC is a great version and they should have just kept the live version of Elvis and sacked off the album version IMO.